Second Look is a branded series of highly immersive stories produced for the 2016 launch of Verse—Verse is a digital, non-linear storytelling platform and publication. 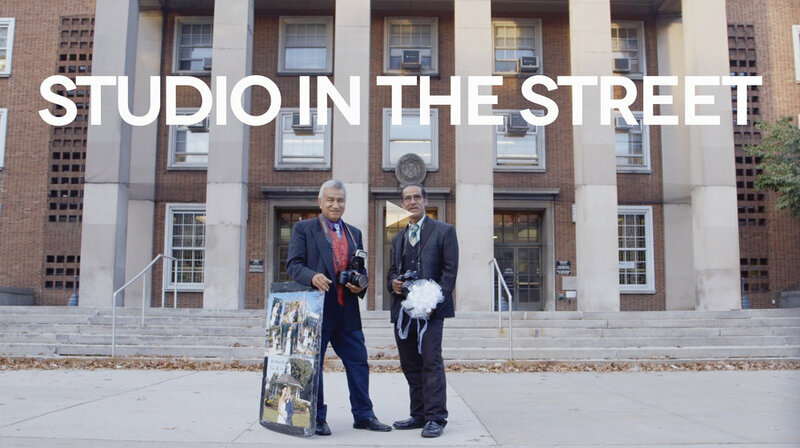 Each project breaks down the mystery and misconception that veil each unique community and culture in New York City. The series highlights six stories: The debate over the legalization of mixed martial arts in New York state; the unique requirements of urban prepping in Manhattan; the dying legacy of wedding photography at Queens Borough Hall; the struggles of Major League prospects immigrating to East Brooklyn from the Dominican Republic; and the freaks of the sideshow world. "Imagine being asked to create a multimedia project using interactive technology that was more conceptual than actual. Then imagine being asked to do it six times. That was the feat that Andrew Hida pulled off, along with collaborator Drew Jordan, when they signed up to work with our storytelling technology startup Verse. They created '2nd Look,' a six part series of character profiles, produced for the Verse interactive platform. In addition to leading the visual direction of the films, the editing for all six stories landed on the shoulders of Andrew. With a sophisticated eye and efficient technique, he moved through lengthy edits that included not just well-woven main narratives, but also extra features ranging from sidebars to Q and As. In other cases, we threw away the traditional approach all together and Andrew tackled non-linear, or 'choose your own adventure' storytelling with confidence. Throughout Andrew was transparent about where he was in the process, shared drafts, and was always open to input. In the end, each story has a unique feel and sophisticated air — Andrew does not rely on a storytelling formula. His thoroughness was evident throughout, along with his pleasant demeanor even when budget and revisions became challenging. I look forward to working with Andrew again." Best compared to the classic Choose Your Own Adventure novels of the 1980s and 90s, Verse is one of the first immersive digital publications and storytelling tools. Our challenge was to leverage the platform's set of interactive tools to create unique storytelling opportunities and stretch their functionality. The Verse platform is designed in such a way that at any given point along the primary storyline, a viewer may be presented with the choice to explore additional content or to continue to watch the main narrative. Our challenge was to avoid mapping these choices as exit points, but rather as opportunities to capture the viewer's attention and to influence their choice to explore deeper. Similarly, with the advent of non-linear, interactive storytelling, there is always the risk of creating content that is additive in nature, which distracts from the story and detracts from the viewer's experience. One of the greatest challenges was to craft feature content that provided real value to the viewer that explores peripheral themes, but does not dilute the primary story. We wanted the viewer's experience to be multi-dimensional and comprehensive. Second Look is a five-part, branded series featuring a 7 to 13-minute character-driven story, supported by immersive content. Although each story is a unique experience, the series is visually consistent in branding, cinematography, and storytelling. The blueprint for each project was to provide additional storytelling opportunities unrealized in the main film that reflected back to the primary storyline. Our goal was to push the viewer to bore deeper into the sublayers of the content, thereby extending their breadth and depth of understanding of the story, themes, and subject matter. Feature content was carefully crafted around each short film in the form of extended interviews, portraiture, interactives, animations, and infographics. Examples of this supportive content is the animated timeline that details the evolution of mixed martial arts in New York State; the diptych video portraits of essential items in each Prepper's bug out bag; and the collection of ten baseball cards, navigated by an interactive scorecard.